Transtech’s planning services include experienced planners, engineers, surveyors, and land development/real estate experts with a wide variety of projects and satisfied clients behind them in both the public and private sectors. Our team has developed unique techniques and skills in solving complex planning problems and implementing comprehensive master plan for client cities. 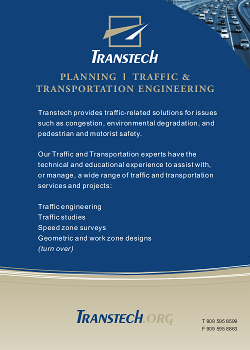 Transtech has provided their clients with Master Plan Circulation Studies, Transportation Planning and Modeling, Capacity Evaluation, Impact Assessments, Site Planning, and Specific Plans.